Valedictorian Shekanah Irish and Katrice Fenton. 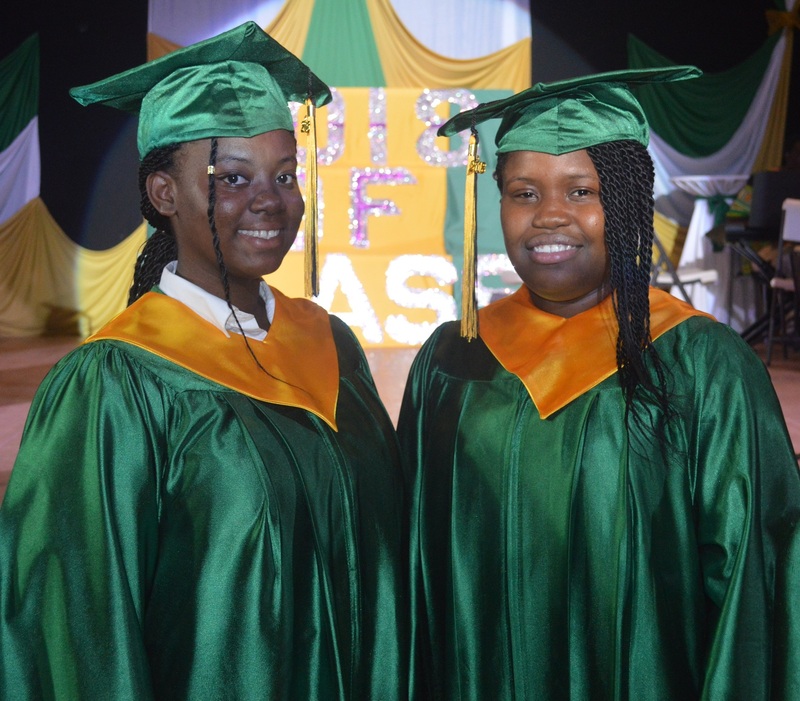 Shekanah Irish and Katrice Fenton topped the Class of 2018 for the Montserrat Secondary School (MSS) graduation on Wednesday evening at the Cultural Centre. Irish was named valedictorian with Fenton not far behind. Both collected multiple special awards at the ceremony they shared with 55 other students in the fifth form. The featured speaker for the lengthy graduation ceremony was the Hon. Deputy Governor Lyndell Simpson. She encouraged the graduates to have personal resilience comprising of self awareness, critical thinking, fostering positive relationships and maintaining a healthy body and lifestyle. She challenged parents and the adults to take up the mantle to guide the younger generation and prepare them to take up the roles they will one day have to leave behind. 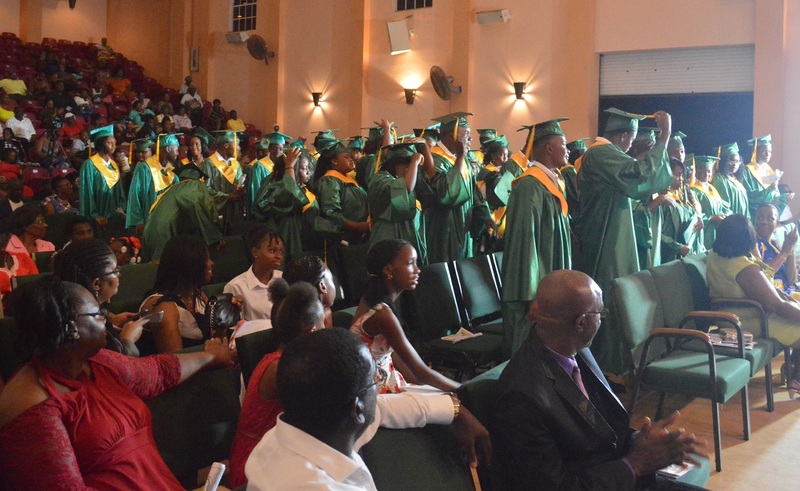 Although the results are not yet known for the recently completed CXC Secondary Education Exams, awards and prizes were distributed based on their academic achievements throughout their school life. 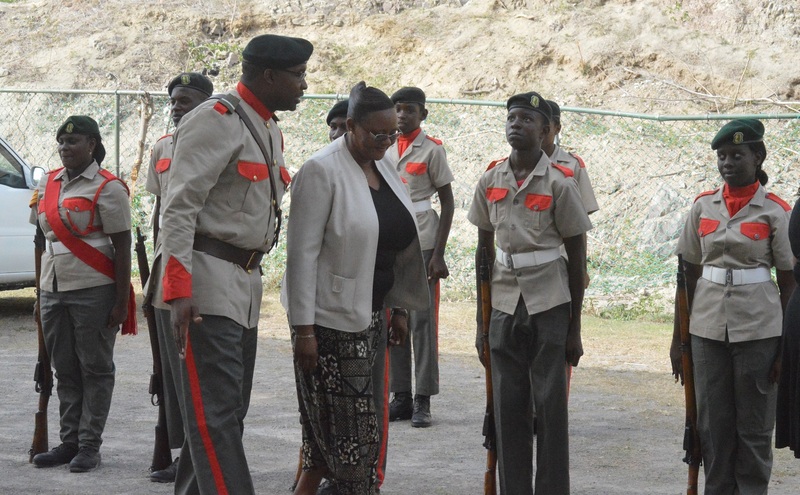 Principal Cherlyn Hogan inspects the MSS Cadet Corps before the graduation begins. Most Outstanding Student award – Bank of Montserrat Ltd.
Spanish Award – Bank of Montserrat Ltd. Outstanding Student Award – Bank of Montserrat Ltd. Biology – Bank of Montserrat Ltd.
Electronic & Electrical Tech – Montserrat Airways Ltd. Awards list may be incomplete.